Another important and successful training effort came to a close today at Berberian Nut in Chico. The Western Agricultural Processors Association (WAPA) completed the second half of their Annual Safety and Labor Summits. 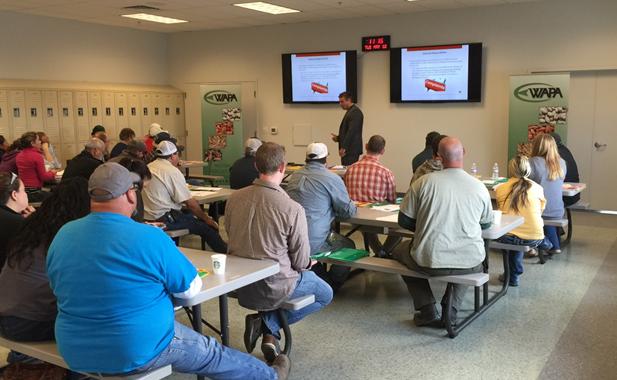 Last week WAPA was at Sierra Valley Almonds in Madera to conduct the first of two (2) Safety/Labor Summits. The trainings included a session on the recent changes to CalOSHA’s Heat Illness Regulations as presented by WAPA’s own Director of Environmental and Safety Services Elda Brueggemann. Meanwhile, Will Cregger of the Saqui Law Group provided an update on the latest changes to labor laws in California including the requirements for the new mandatory sick leave law and how to comply with it. Then all attendees participated in two hour sexual harassment training session by Saqui Law Group’s Cregger. The topics were timely and addressed many of the concerns of WAPA’s members. All participants were provided copies of all presentations.